Adult coloring is becoming super popular. It is a way for adults to relax, de-stress and take time for themselves. And many people prefer using colored pencils instead of markers for this activity. 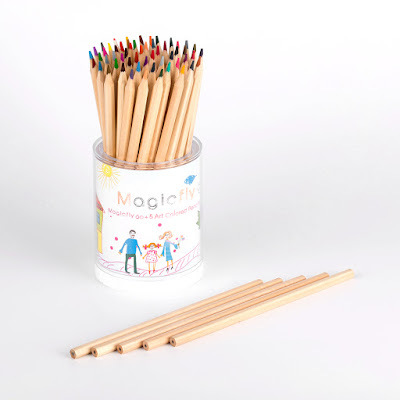 This colored pencil set comes with 60 colored pencils plus 5 drafting pencils. They come in a plastic "cup holder" that makes it easy to pick your colors. As you can see from the product picture, they are a plain wood color, they don't have color anywhere except on the inside (lead). That seems kinda cool to me because the color leads are true to color, you know, the tip that you see. It is very disappointing when you pick a color to used based on the outside wrap of the pencil, and it ends up not being true to color. Not the case with these. And, I like the raw, natural wood color on the outside. One thing to note is that it is hard to put the colored pencils back in the holder after using it. It is a tight squeeze. That is the only thing I didn't like about them. Another thing that would be really cool is if the holder had a sharpener on the bottom, like those crayon boxes that have the crayon sharpener on them. That would be awesome. 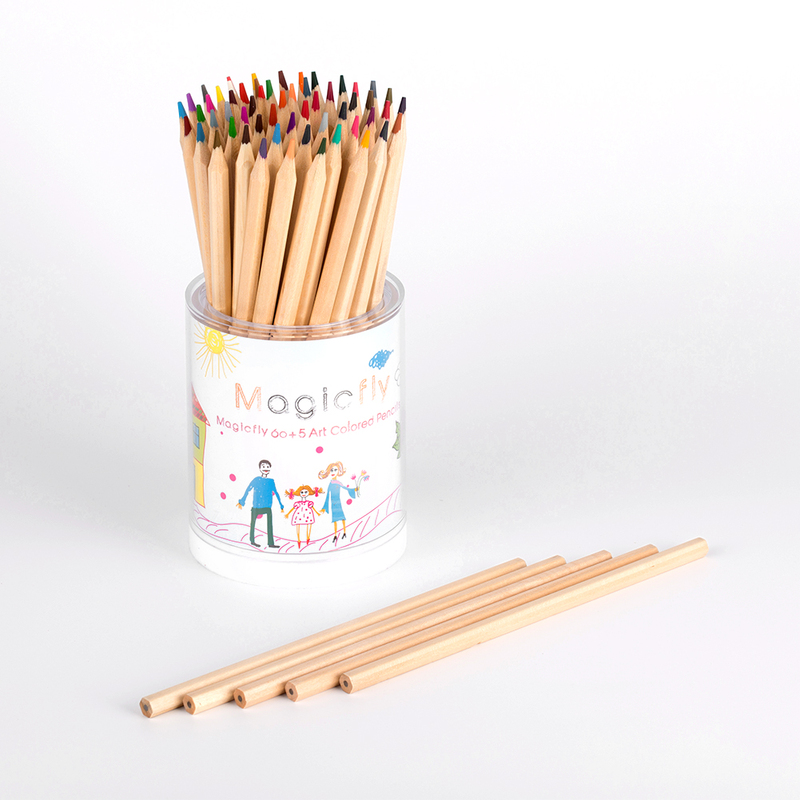 In this set you get 60 colored pencils plus 5 regular drawing pencils, designed to handle detailed work. They have a rich color saturation.